Kuala Lumpur: Shaikh Salman Bin Ebrahim Al Khalifa was re-elected unopposed as president of the Asian Football Confederation on Saturday after the regional body’s congress confirmed a new four-year term for the Bahraini by acclamation. The 53-year-old, who was not present at the meeting due to the death of his mother earlier in the week, was handed a third term at the helm after his rivals, UAE’s Mohammad Al Rumaithi and Qatar’s Saoud Al Mohannadi withdrew. Shaikh Salman will extend his reign as president until at least 2023, by which time he will have completed a 10-year spell in charge of the 47-member body after initially completing the truncated term of former president Mohammad Bin Hammam. 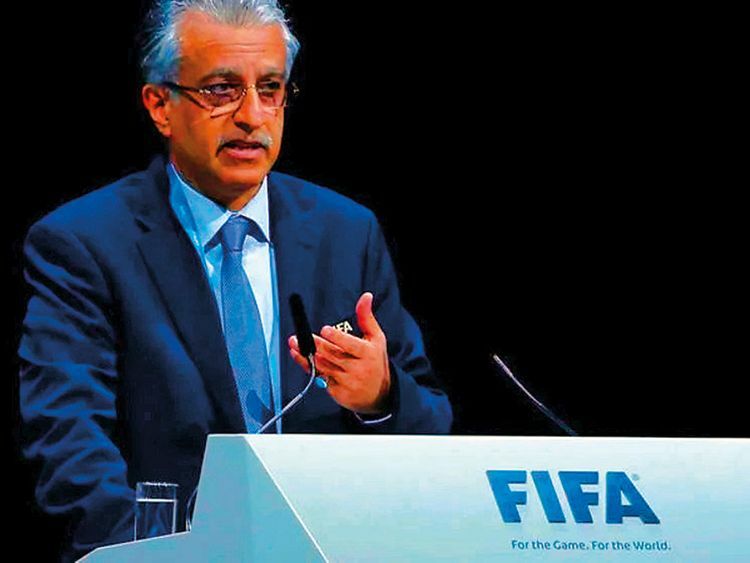 A member of the Bahrain royal family, Shaikh Salman first came to prominence in footballing circles in 2009 when he faced off against Bin Hammam for a seat on Fifa’s decision making body, a ballot he lost by a single vote.